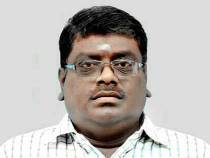 I am senthil kumaran Professional Astrologer. I have been Awarded Title of JothidaThilagam and JothidaRathna from Universal Academy in the field of Astrology. I am giving Vedic Astrology Consultation to my Clients, my prediction and Remedies are based on in depth Analysis of Navagraha and Planet’s impact, I am Giving solutions to Delay Marriage, Relationships, Business, Career, Finance and all issues. I guide my clients thru simple remedies.